Mangosteen fruit scientifically known as Garcinia mangostana is a tropical evergreen tree, believed to have been originated in Indonesia and is widely available in several South East Asian regions like Singapore, Malaysia, Thailand, and Vietnam and also in some regions of Africa. The purple Mangosteen, acclaimed for its unique appearance and flavour is often revered as queen of the tropical fruits, especially in the orient. Mangosteen is a fruit that grows on an evergreen tree native to Indonesia. Unrelated to the mango despite its name, the mangosteen has a hard dark rind and tastes like a citrus fruit with the texture of a peach. It is popularly sold in juice form in the United States, often combined with the juice of other fruits. A traditional remedy in its native land, mangosteen is being studied for its health benefits. Mangosteen is promoted to support microbiological balance, help the immune system, improve joint flexibility, and provide mental support. Some proponents claim that it can help diarrhea, infections, tuberculosis, and a host of other illnesses. In countries where the tree grows, various parts of the plant are used by native healers. Parts of the mangosteen tree, including the fruit and bark, have been used in folk medicine in Asian countries for many years. 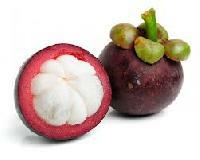 In the mid 1800s, a compound in mangosteen, mangostin, was identified as a xanthone, a type of anti oxidant. Mangostin was found to have anti inflammatory effects in rats in the late 1970s. Today, mangosteen is sold in the United States mainly through a network marketing system, in which independent distributors, rather than stores, buy and sell mangosteen juice. Many mangosteen products are also available from health food stores and on the Internet. 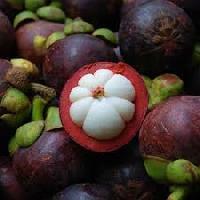 Mangosteen extracts have shown in laboratory tests that they can stop certain bacteria and fungi from growing. One laboratory study suggested that mangosteen extract inhibits the growth of acne causing bacteria. It has not been tested on people to determine whether it can help acne. In the laboratory, it also slowed the growth of certain cancer cells. A small study in rats suggested that the rind of the mangosteen may reduce the risk of cancer cell growth in the bowel. However, the ability of mangosteen to inhibit cancer growth has not been tested in humans. Mangosteen juice when ill report less severe symptoms and quicker recovery times. Part of the reason for this is because the high nutrient content is proven to boost immunity. In addition mangosteen juice is believed to directly treat certain types of viral, bacterial and fungal infections. Centuries of Mangosteen use has helped Southeast Asians maintain or regain their health and cure their diseases. Traditional Asian healers use the fruit to stop infection, treat inflammation, and increase one s energy, among others.Modern scientists and a growing number of health practitioners now agree on the medical benefits of Mangosteen. They have found that the fruit is helpful in preventing and possibly even stopping a wide range of diseases such as diabetes, heart disease, Alzheimer s disease, cancer and other chronic diseases. Mangosteen fruit is beneficial because of its high nutritional value. Besides having a delicious taste, it is a rich source of fibres and carbohydrates. It also has high contents of vitamin A and vitamin C as well as iron, calcium and potassium. This fruit is a moderate source of B complex vitamins such as thiamin, niacin and folates. These vitamins act as cofactors which help the body to metabolize carbohydrates, protein, and fats. 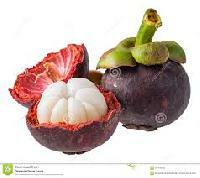 Most importantly mangosteen fruit is a great source of xanthones. A one cup serving of canned mangosteen has 143 calories.